Thanks for going the extra mile in brining us great detail on the new Double Haul. is this going to be available through the patagonia website? I'm glad you guys appreciate the details. This pack will be available at your local Patagonia fishing dealer as well as online soon. SWEET! I have the older model Double Haul and love it but I really like that you have made it modular. Sometimes it's nice to just go minimalist and having the ability to one one smaller pack is a great idea! I like the hemo storage spot too...I've lost a few pairs since I just had them clipped to the pack. One good sized wave and they're gone! Great idea! Good to hear from you Sanfranwahine. I think you will like the new version of the Double Haul. It's a bit more involved than the original from the standpoint of adjustments but it's not rocket science. The new Double Haul should be on shelves in early February. saw the new double haul up on the website! It looks like all the new products are up. The easiest way to locate the products is to type in the style name in the "site search" box, then click on the image for a bigger view. At this point you can click on "more product views" for details. The 'backpack' portion now only has a zipper on one side, which is, in my opinion, a step backwards. The old design, with two zippers, allowed the bag to be worn over either shoulder, but now the bag must be worn over the left shoulder if the zipper is to be on top. I'm a lefty, so I tend to start the day with my old double haul over my right shoulder and switch it over to the left only at the end of long days. It may just be that I'm not familiar enough with the bag yet, but it also seems like the new attachment system that goes around the torso is less user-friendly than the old version. With the old version, each side of the bag was attached separately, so when you unclipped one side to swing the back part of the bag around the other side stayed attached and held everything up. On the new bag, the strap is a continuous loop, so when it's unsnapped, it doesn't hold anything up when you swing the bag around- I actually dropped the bag the first time I tried swinging it around. The larger back portion is the reason I decided to upgrade, and it's great. There are a lot of little improvements that I'm sure I'd come to appreciate with time, but unless I'm doing something wrong with the strap system, the way the loop around the torso is setup will be a deal-breaker for me - it seems to make it very hard to swing the back portion around in front of you to work out of. Thanks for the feedback Matt. Your former Double Haul experience doesn't apply 100% to the RDS version. That dual zipper/2 buckle, unclip one side/sling around process doesn't work on this model. Now you get into the back without unclipping by rotating everything (front-to-back and back-to-front). The back zipper is in a more favorable position if the pad is on the left shoulder but you can maneuver it for access if worn over the right shoulder with a little extra rotation/twisting. There are Double Haul configurations (now that the pack is modular) that provide additional dual pack solutions. 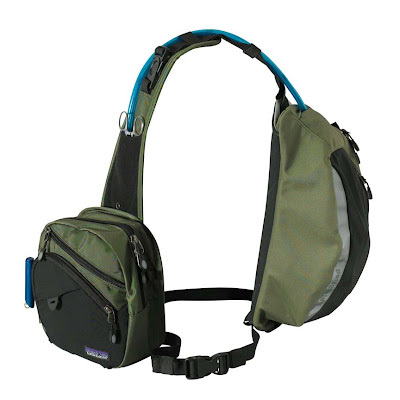 The back pod can be worn sling style over either shoulder (zipper upright) and the front pack can be in 3 point mode (both packs operable). You can also wear the back pod as a hip pack and the front pod ("single haul") in chest pack or 3 point mode. Once again, both packs can operate independently. There are single pack options as well that didn't exist previously. One thing that I've noticed after a year of using this pack is that I wear my stretch wading belt in place of the web belt that comes with the pack for certain situations (wearing waders or when carrying heavy loads). The web belt handles these same situations well but the stretch belt is wider and a bit stouter. The stretchiness also can come in handy if you do a lot of dual pack rotation. Note that the web belt included with the pack was designed to accommodate the range of waist sizes so if you feel you have excess feel free to customize (shorten) it as needed. Drop me an email Matt and we can discuss further. I want you to be satisfied. I leave in the morning for 11 days of fishing in Costa Rica, so I'll have plenty of time to field test the new Double Haul (though I did pack the old one, just in case). I'll weigh in with some more educated feedback when I return. Keep an eye on my photoblog, I may post while I'm down there if the opportunity arises. I lived out of the double haul for three days in the Eastern Sierras. I had that pack on for 8-10 hours a day - no joke. I must say that little pack rocks. I found that using the double haul attached put too much strain on my shoulders as I alternated shoulders throughout the day. After numerous pack positions I found that separating the pack with the fanny attached on my waist and using the square pack as a sling was absolutely perfect for all day stints. I put heavier items (water, jacket, extra fly crap, lunch, and the like) in the fanny compartment, and kept only the lighter essentials in the square pack that swung to my back when not in use. I must say it's the most versatile piece of equip I own and plan to use it for a very long time. The more I use it, the more I like it. Versatility was the goal with the modular Double Haul 2Wildtrout. This pack and it's configurations do take getting used to. Thanks for sharing your thoughts. Keep it up. i'm wondering what hydration bladder i should get on for the double haul. i notice one in the photo. is there a brand or size that fits best with the system? I've used a 2.0 liter Camelback and a 1.5 liter Fishpond hydration reservoir in my Double Haul. I think just about any 70 oz. or less water bag would work. Polarpak is a company making insulated versions which might be cool to use for hot weather conditions (http://www.polarpak.com/). Have used a competitors sling pack for a couple seasons and love it. Patagonia's modular design looks like it takes the design to even greater heights. I will be purchasing, but have one question I have not seen addressed yet. What about net attachment. I currently hook my magnetic connector off the back of the shoulder strap, just above back pack. What have others done with the Double Haul? Thanks. 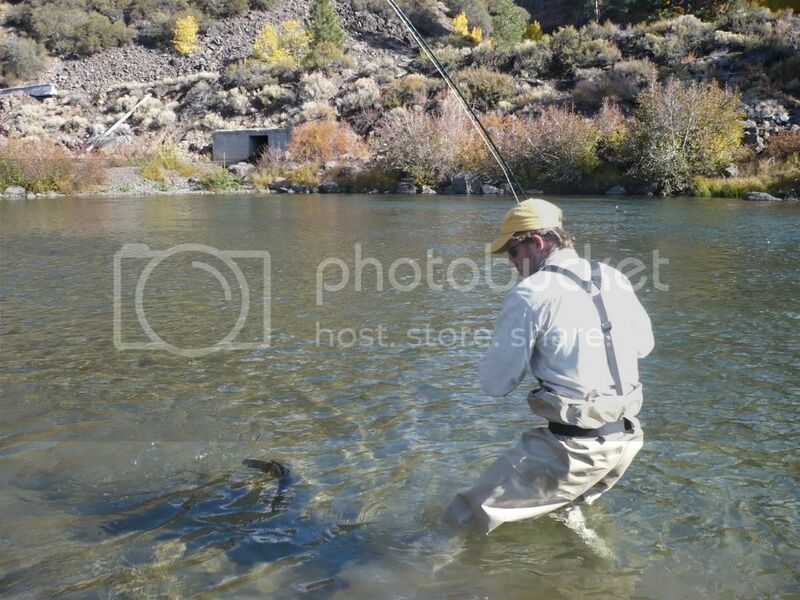 There are webbing loops at the zipper ends that can serve as attachment points Tkpkangler. You can add a split ring to the loop for a firm connection point if so desired. Thanks for the question. I am a bit late to this blog post but I bought the double haul and I am having a hard time understanding the correct configurations or configuring it the way I want.. 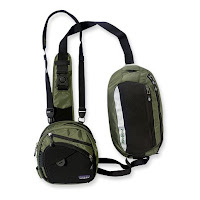 In particular, I want to use the sling (back) pack with the padded modular element that has the clip, velcro (for fly patch, and slot for hemos). However, only one end of the back sling pack will clip into it? How do you connect the other end? thanks for the question peter. email me at steve.straq@gmail.com and i can share my thoughts on the particular arrangement you are trying to achieve.